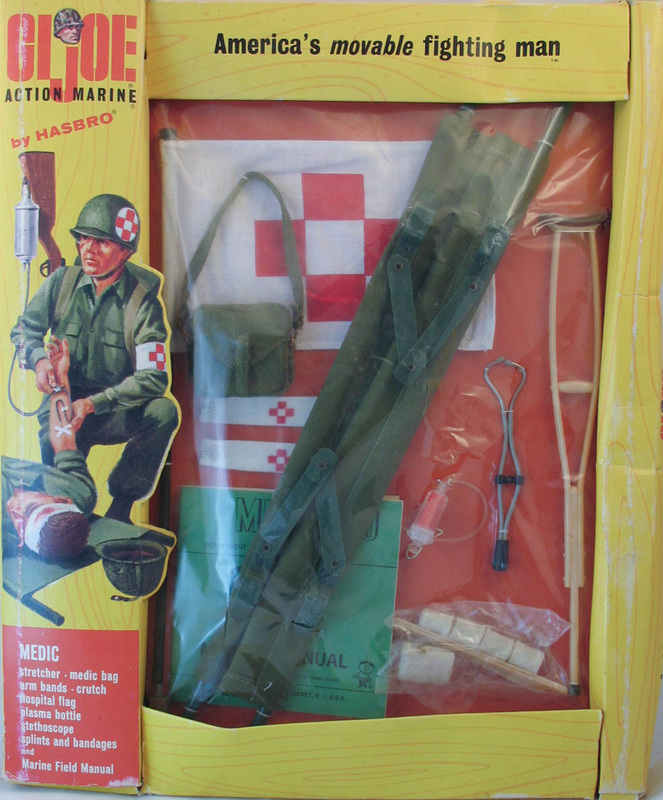 The Medic accessories (7719) brought a new level of realism to the line allowing kids to act out not just the glories, but also the horrors of combat. 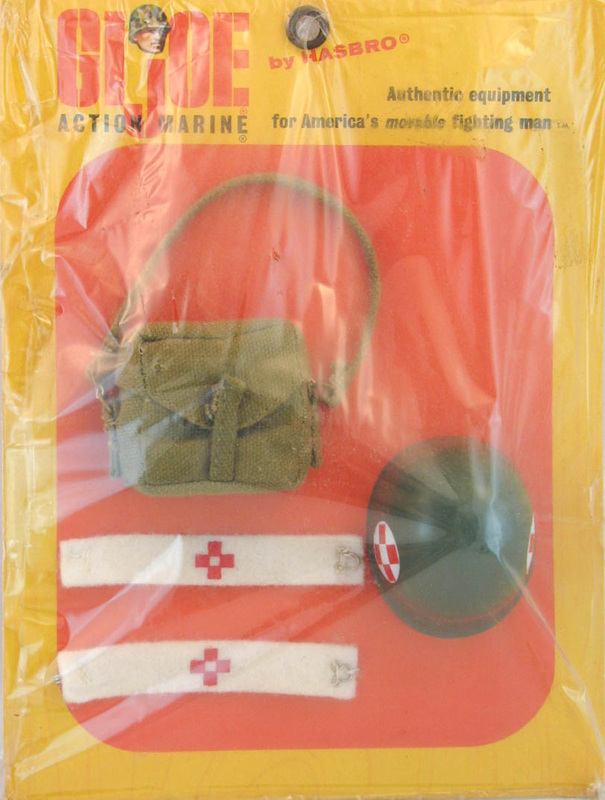 Considering the number of figures and fatigues found colored with red marker, it was a play apttern participated in by many. 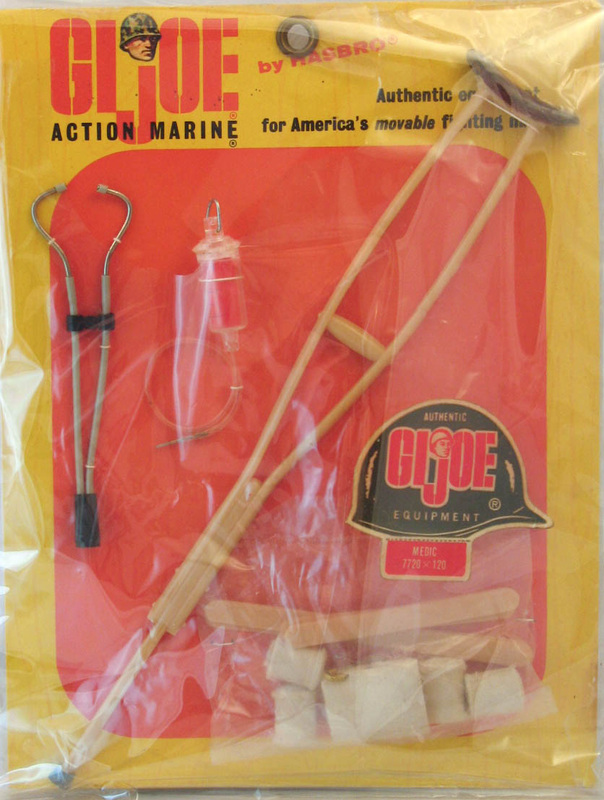 GI Joe preps an I.V.